The new Policy for the Small-Scale Fisheries Sector is ground breaking in South Africa: the community was previously excluded from fisheries management. 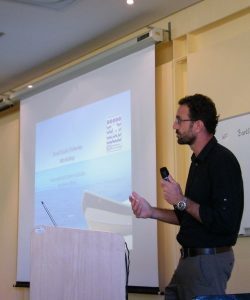 Given the many institutional actors involved in the small-scale fisheries sector, and the complexity of managing a sector that crosses socio-ecological boundaries, a good governance approach would benefit from the enhancement of communication amongst stakeholders, the enhancement of communication by DAFF (to communities and stakeholders), and the enhancement of the contribution of stakeholders to support current SSF processes and address gaps. 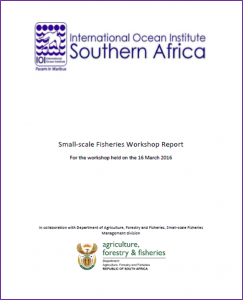 IOI-SA held this workshop to allow for parties with an interest in supporting the implementation of the Small-Scale Fisheries Policy an opportunity to interact with DAFF and each other. The workshop was successful in engaging a wide range of stakeholders. There were many other key stakeholders who were invited but were not in attendance. 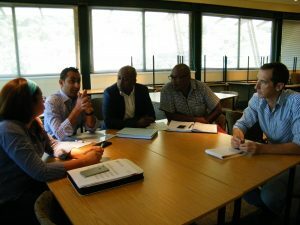 It is the hope that the workshop report (and any subsequent engagement from IOI-SA) will equip them with adequate information on proceedings. This workshop has started to identify some of the gaps and needs, and areas that will require support and collaboration.